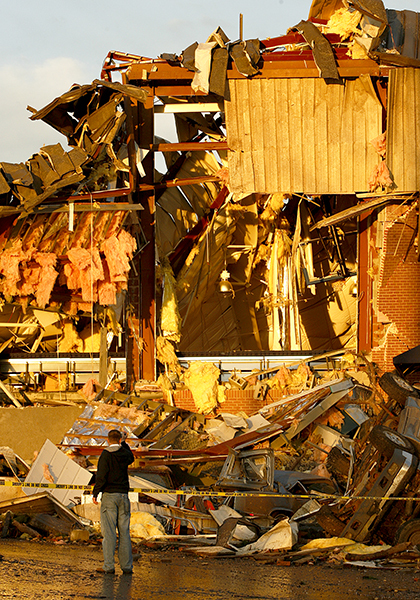 A tornado struck Enterprise, Coffee County, in March 2007, killing nine high school students at Enterprise High School and one other town resident, and injuring about 50 others. Courtesy of The Birmingham News. All rights reserved. Used with permission. Photograph by Mike Kittrell.